Guitar volume pedals give you the power to control output — which can make or break a performance. They’re a hands-free way for a single performer to control the volume (Source) of his or her guitar by stepping on a pedal. Just like in a car, press harder and you get more output. Guitar volume pedals also allow you to control gain (Source), which lets you control how clean or dirty your sound is. 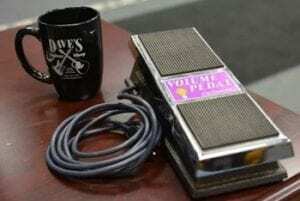 Depending on where you perform, the way your guitar volume pedal is powered can be crucial. They can be powered by cord or by battery or they can be passive. Make sure your guitar volume pedal will work where and when it needs to. 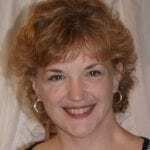 Also consider what you need as a performer — something small and compact or something large and durable — so it doesn’t interfere or fail when you need it most. Here’s our list of top guitar volume pedals and all the details you need to make a smart choice. Sitting at the top of our list is the Ernie Ball MVP “Most Valuable Pedal” with its fancy desig. The name is fitting like a glove, as this pedal does a lot of things that other volume pedals don’t, and does them quite well. This is a heavy duty buffered volume pedal, with minimum volume adjustment and gain boost. It is fitted with a tuner output and comes in a rock-solid enclosure. On top of that it is offered at a reasonable price-point. 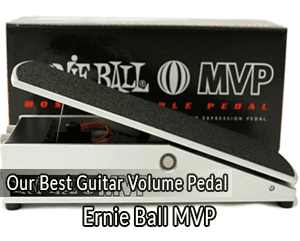 The Ernie Ball MVP is a very versatile guitar pedal. As it’s a buffered pedal, it works with both active and passive audio signals and can be placed anywhere in your signal chain. Place it at the beginning, middle, or end of the chain – the MVP doesn’t care and will work just as well. This model has two knobs. The Minimum knob is useful to control your signal’s minimum amplitude when the MVP is in the “heel down” position. The Gain knob which controls a 20dB gain boost. This boost is a nice touch, as it’s always handy to have some gain on tap if you need it. Using these knobs in conjunction makes the MVP one of the most versatile volume pedals on the market. This pedal requires power in the form of a 9V DC power supply, or a 9V battery (which can be installed in the battery slot underneath the pedal). The tuner output on the MVP can be used with any tuner, at any volume, and because it’s completely isolated from the rest of your signal chain you’ll experience no high frequency tone loss. Another standout feature is the inclusion of two useful knobs to alter the Ernie Ball MVP’s volume settings. In our hunt for the best volume pedal on the market, the Boss FV-500H received the second highest number of recommendations across the web. It was just barely edged out by the Ernie Ball MVP. 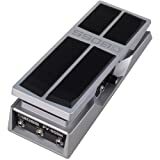 There are actually two versions of this Boss volume pedal – the Boss FV-500H, where the H stands for High Impedance, and the Boss FV-500L, where the L stands for Low Impedance. The FV-500H is designed for high impedance signals, like that coming out of the output of your electric guitar. The FV-500L is designed for low impedance signals, like a keyboard, preamp, etc. We recommend you go with the H version, because it’ works both ways. You can use it with high and low impedance signals just as well. You should get the FV-500L version only if you’re certain you want to use this pedal in your amp’s FX loop, or later down your chain with a buffer before it. If your guitar has active pickups, that’s another reason to go for the L model. It’s impossible to read any discussion or review about this volume pedal without reading comments about how big and sturdy it is. It is quite a large pedal, and in true Boss fashion, it’s built like a tank – big, bulky and heavy! As this pedal does need space, it might not be the best choice for a smaller pedalboard setup. On the plus side, it looks really nice, and appears quite sleek with its black and aluminum color scheme. A benefit of this volume pedal’s heft is that it will stay put. More so than any other pedal we tested, this pedal feels like it will never slip, which is also a testament to the high-quality rubber grip that will meet the underside of your shoe atop the pedal. The Boss FV-500H volume pedal is passive, meaning it doesn’t require batteries, or chaining power to it. Another feature that the owners of this pedal brag about is the adjustable pedal resistance (a.k.a. tension) via a screw in the bottom of the unit. The FV-500H also has a Minimum Volume knob to adjust how much volume you want when the pedal is in the lowest “heel down” position. 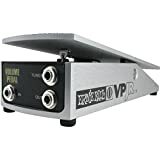 Other features include being able to use the FV-500H as an expression pedal which is great, and a Tuner Out jack to connect your tuner. The Ernie Ball VP Jr. is without a doubt one of the most popular, most reviewed, and most used volume pedals out there today. It’s simply a good, functional volume pedal with a smaller footprint from a very reputable brand, and it’s offered at a great price. One of the nicest things about the Ernie Ball VP Jr. is that as far as volume pedals go, it’s nice and compact. It’s about 3.5 inches wide, and 10 inches long, thus making it ideal for more compact pedalboard setups. It’s also lighter than other volume pedals we tested. Like its big brother the Ernie Ball MVP, construction of the VP Jr. is nice and solid, the chassis definitely looks like it could take a beating and survive unscathed. Aesthetically it looks nice as well. The pedal surface has a sandpaper-like grit to it, which ensures your foot won’t slip when operating the pedal. Before we go any further, you should be aware that there are two available versions of the VP Jr., and you need to make sure to get the right one for your setup. One is the Ernie Ball VP Jr. model 6180, which features a high-impedance 250k ohm potentiometer suitable for passive instruments (as an example, your standard electric guitar pickups are passive). The other is the Ernie Ball VP Jr. model 6181 with a low-impedance 25k ohm pot, and is better for active instruments. This is also a passive volume pedal, meaning it does not require power to operate. The VP Jr. has the added benefit of being able to select between two volume swell rates, using a switch located behind the input jack under the footplate. This is a nice inclusion and adds to this volume pedal’s versatility. One downside we read several mentions of is the tendency of the string assembly to break after prolonged usage. Many users recommend buying a spare string, since it’s a matter of when it breaks, not if. 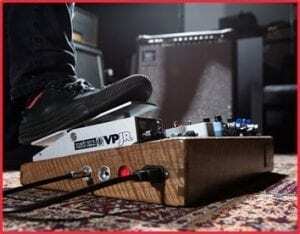 The Dunlop DVP3 is both a volume and expression pedal. The audio output is a 250k ohm audio taper, while the expression output is a 10k linear taper. It’s a passive volume pedal, meaning no power supply is required. We’re big fans of how the DVP3 looks and feels. It’s a very attractive all-black device, feels solid as a rock, and the tread at the top looks like a car tire. The grip under your feet feels nice and secure, and the unit has good heft so it doesn’t feel like it will slip and slide even if you forget to secure it to your pedalboard. The pedal’s action is very smooth, and it offers a lot of travel. If the stock tension doesn’t suit you, you are able to adjust it to your taste. owners who often experience string breakage tend to switch to the Dunlop Volume X, as its steel-band drive seems to be much more durable. This is an interesting budget-friendly pedal that deserves a spot on our list of top guitar pedals in 2018. Here re some of its most fascinating features. This is a passive, stereo volume pedal with a minimum volume adjustment knob, and it’s offered at a price that’s almost too good to be true. Many music enthusiasts opt for this budget option on their pedalboard, frustrated with the high prices and drawbacks of volume pedals offered by some more renowned manufacturers. The enclosure of this model is plastic, not metal like that of the other pedals on our list. It glides fairly smoothly, although a slight mechanical grind noise can be heard when operating it. It does not feel very durable, which is a sacrifice you have to be willing to make at this packet-friendly price. The surface atop of the pedal does not provide the best grip either. You might want to experiment with some way to give it a better grip, so your foot doesn’t slip away during the show. No matter if you’re a beginner looking for your first volume pedal, or you’re an experienced guitarist looking for a new volume pedal, the factors listed below are worth considering before you proceed with your purchase. 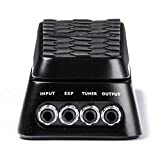 When purchasing a guitar volume pedal, make sure the model you have chosen does not split and weaken your guitar signal. A passive volume pedal usually doesn’t require power supply but it is more sensitive, and you have to pay more attention to where you place it in your signal chain. An active volume pedal needs to be powered, and you don’t have to be as careful as to where in your signal chain you place it. In addition, it’s not prone to tone loss. This is important for any piece of gear you buy, but particularly something you’ll use as often as a volume pedal. In terms of the pedal’s housing, look for one with metal construction from a brand known for building durable gear. Most guitar chains are mono, so that will suffice. If you want a volume pedal you can also use for a stereo instrument like a keyboard, look for one with stereo capability. Thanks for reading our review and we hope that you have found the above information useful. We have put in many, many hours of thorough research; we have gathered the opinions of multiple experts, and we even tested several pedals, so as to help you navigate and understand what to look for in a volume pedal. It was our intention to tell you what we – and many other musicians out there – think are the best devices currently available on the market. All of the guitar volume pedals discussed above boast top quality manufacturing, a vast array of features and are absolutely safe to use. Happy shopping!